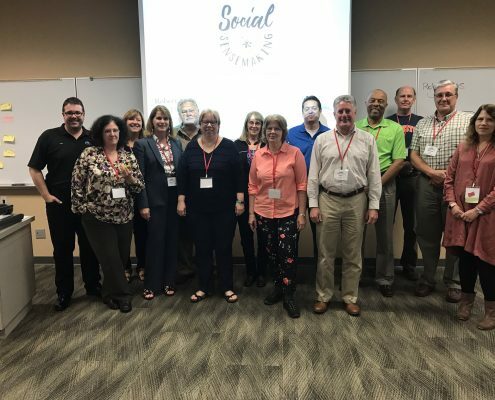 So What is Social Sensemaking? It is Rob’s reflection of this learning ‘adventure’ that he shares in the book. That is, how we make sense of risk through a means that he has coined Social Sensemaking©. 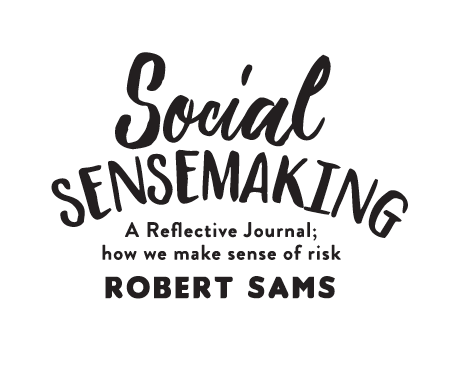 The book, and the idea itself of the very social nature of our ‘sense making’, was born from a search for a more humanistic approach and methodology to supporting people to deal with risk. That is because to make sense of risk, we need to commune and converse with others; that is, it is a social activity. The book is not a text, nor a report on formal research. Instead, it is a collaboration of stories and experiences in how we make sense of decisions and judgments; particularly about risk. It questions the traditional controlling and dictating methods that can be too easily adopted by the Risk, Safety and HR fields, and offers ideas that are more ‘humanising’. So what can you expect in this Workshop? In this practical and interactive presentation, we take participants through a number of the tools presented in the book including ‘One Brain Three Minds’©*, the ‘Trade-offs’ model© and the ‘Decision Tree’©. We also share some of the challenges of moving toward a more holistic understanding and application of risk in the workplace. This includes how we’ve dealt with our own cognitive dissonance after many years of practicing the traditional approach that was focused on control, rather than understanding and supporting people so that they may better discern risk for themselves. Tools and Models to better understand ‘sensemaking’ including One Brain Three Minds© – a model to decision making (introducing the conscious and non-conscious in decision making), the Decision Tree and the Trade Offs Model. Personality Types – a short introduction to the Jungian Four Temperament types and why these matter in communication. This will be a very practical introduction rather than one based solely on theory. The role of the non-conscious in communication. Understanding why this is so hard – what is it about our society that makes listening challenging and telling easy? We are social beings, what role does this play in communication? The Workshop will provide practical, interactive and hands on experiences to embed learning. This will include providing models and tools for participants to ‘take-away’ and apply in their work environment. The next Social Sensemaking Workshop is being held in Auckland, New Zealand on 14th May 2018. You can book your place by following this Link.